You’ll leave with a bouquet of flower essences ideas to keep you balanced and joyful in this hectic modern world. Learn how flower essences can support your journey to wholeness in this enlightening full day workshop. Explore how to decrease stress, release self~limiting attitudes & promote courage, clarity, insight, creativity & joy. Isadora brings a shining light of intuition and extensive training in natural healing to support the path of those seeking true wellness. An internationally respected Reader and natural health expert Isadora has offered clear guidance for over three decades. Her recommendations encompass the wisdom of traditional cultures, contemporary wellness practices, scientific research and a gift of intuition. While growing up in the Midwestern United States, Isadora had a great curiosity about other cultures and the desire to understand what motivates people to act as they do. In her 20s she traveled overland from England to India for a year. Visiting an encampment of nomads situated just outside the remote Afghan village of Bamiyan, a distraught woman approached her desperately seeking help for a tiny infant lying limply in her outstretched arms. The nearest medical help was a long day’s journey away through rough, mountainous terrain. Lacking medical training, Isadora was unable to help the unconscious infant. Deeply moved by this encounter, she entered nursing school after returning to the United States. An early interest in nutrition and herbal healing was the seed; the quest to understand people provided fertile ground. The need to explore healing beyond the medical model of healthcare was the seedling tended to full growth. 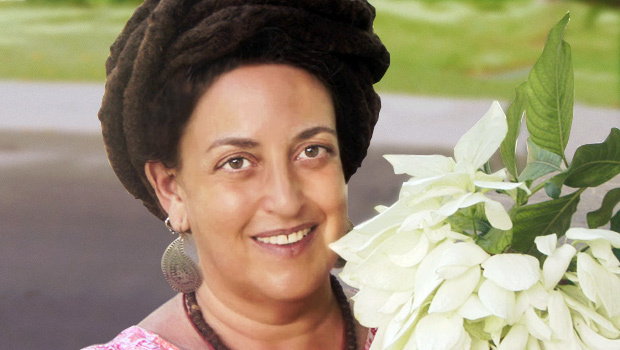 For nearly a decade Isadora was Consulting Herbalist and Flower Essence Practitioner at the largest independent health food store in Chicago, Illinois. Subsequently, she served as Midwest Field Educator for the Flower Essence Services. During that time, Isadora presented numerous training programs and public talks in cities and smaller communities from Ohio to Minnesota. These programs drew on over twenty-five years of personal and professional experience working with flower essences, along with her ‘trademark’ blend of humor and numerous intriguing stories of flower essence healing in action. Isadora has resided on the island of Jamaica for two decades and was drawn deeply into the culture through supportively nurturing eight children and teens in need. In conjunction with a Chicago Brownie Troop, a large quantity of books were collect and transported to Jamaica for a newly built Junior (Children’s) Library. During her time there, she also explored and experienced first hand the Jamaican methods and philosophy of healing which derive from numerous indigenous and West African traditions. Drawn to her wealth of knowledge, traditional and holistic healthcare practitioners, parents, business people, artists, and cultural creatives consult with Isadora. Her work encompasses helping individuals of the African Diaspora and members of the GLBTQ community. 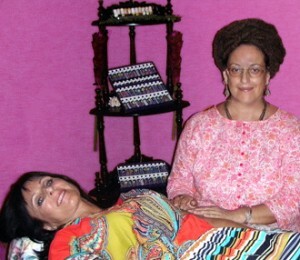 Her international clientele benefit from a perceptive, intuitive understanding of each person’s needs and a gift for weaving together alternative healing practices with positive encouragement and a bit of sweet humor to keep things light. She generously shares her expertise in creating concise, practical and effective programs for people with busy lifestyles. As Isadora does not sell nutritional supplements, recommendations are based solely on what is perceived as being for the highest good of each individual. awakening and supporting the healer within. Himalayan Institute (Glenview, IL), C.G. Jung Institute of Chicago, Green Nations Gathering (NY), Herbfest (Iowa), Foundation for Shamanic Studies, Rudolph Steiner Education Program (IL), Anthroposophical Nurses Association of American- Art of Nursing I Course, Midwives Alliance of North America Annual Conference.